Though Pakistan and the United States have been allies since Pakistan’s birth in 1947, mistrust and cross-purposes have long characterized their relationship. The discovery of Osama bin Laden in the Pakistani garrison city of Abbottabad exposed a major schism, and opinion polls now show that a majority of citizens in either country do not trust the other. The US increasingly sees nuclear-armed Pakistan, home to a growing Islamist insurgency, as a threat to its security; while for their part, Pakistanis believe the US has not been a trustworthy ally. 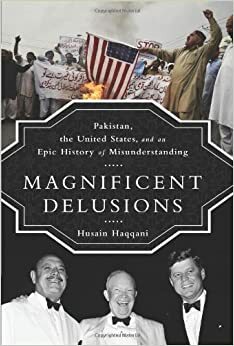 In this book, Husain Haqqani explains what makes consistent cooperation between the two allies difficult, and why they might be on an adversarial course. Relying on historical accounts (including hitherto unpublished material) as well as the author’s personal knowledge, this book explains Pakistan-American relations in context of Pakistan’s hostility with India and its role in global jihad.